Nothing better than playing a first person shooter with zombies in it on Halloween! Even better when teaming up with 3 other friends. 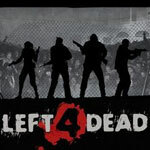 Left 4 Dead weapn of choice has to be the shotgun, especially when there is a zombie frenzy - just keep shooting on int he direction of every point of the compass should sort you out. A very fun game, with nice and eerie level designs. P.s. shh, there's a witch (you'll have to play to know what I'm on about :D.
Once you've made the initial outlay and purchased a Guild Wars game, with some online retailers selling Guild Wars titles from as little as £17.99. Then you connect to the web, register a new account and then create your own characterto play. And, wait for it... online play is totally free. I repeat, totally free! No month subscription fees! The Guild Wars I mostly play is Guild Wars: Factions. Whether you play Guild Wars, Guild Wars Factions or Nightfall, or a newer version. The game engine is practically the same, so you get a similar experience all round. This game was the first time where I really thought about what sort of character I wanted to make, in terms of appearance and character type, since playing PSO. It took me a while to actually create a character I knew that I could play with for hundreds of hours online. Rather than getting stuck in a loop of creating a character, then getting bored with the character and then creating a new cahracter over it. With the cycle repeating over and over again. I wanted to make sure I created a character I would want to level up and once it has achieved a high level, a character I was proud to run around as. Each character type has been designed well, having experimented with each type I could not see any fundamental flaws, allowing you to choose your personal preference when it comes to how you battle enemies. The abilty to have a primary character skill type and then choosing a different character skill once you've reached the required level gives the game many different combinations when it comes to creating characters with different skill sets. Anyway, best game I've played in ages and I forgot to mention you can create your own guilds (hence the name Guild Wars) and battle other guilds in Guild Wars: Factions. When I saw this boxset online, I had pinch myself. 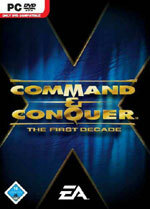 All of the Command & Conquer games in one boxset! I just had to get it and I wasn't disappointed. To just be able to play Red Alert again, and you also get the more modern C&C: Generals and the 'Zero Hour' expansion pack. Even though C&C3 is soon to be released, I feel more comfortable playing with common everyday tanks, and other 'normal' vehicles. To the weird alien like vehicles found in the C&C: Tiberian wars series. Well anyway my verdict on this boxset, is that it is worth every penny! What was my attraction to this game? Well, you can build your own city. You can then destroy this city or allow it to prosper and grow into a mega metropolis. Link your metroplolis to other metropolis's you create in the surrounding region. 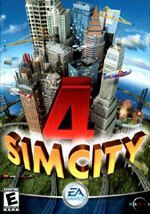 And to top it off, you can put your sims to live in your city. Enough said! Ever played a game where you do mission after mission in what the game tells you is a course set for a particular objective, but it just seems like you're being deceived by shoddy game developers. 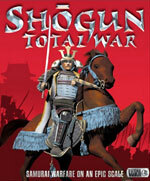 Well Shogun Total Wars is different. From the offset, your objective is clear and the means to that objective is made clear. Put simply, you have to conquer all of Japan by destroying all opposition. You choose a clan, which has a corresponding colour. Then you set out to conquer all the other Japanese provinces not under your control, until all of Japan is in your clan's colour. Well conquer most of Japan, with the exception the northern most Japanese island of Hokkaido. The learning curve is pretty steap, personally controlling each battle is recommended only if you see yourself as a budding armchair general and want to test your battle skills. The best thing about this game is the ability to resolve battles automatically, thereby opening up the game to those who whould otherwise be put off by the complexity of battles. 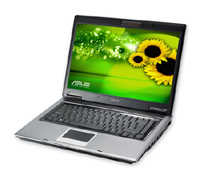 The computer simply calculates the outcome of a battle based upon a number of factors, including each Generals battle experience, the number of troops and the type of troops that makeup each army.